Phoenix Dan Cong oolong is produced from Chao-zhou, Guangdong province. In Phoenix town, the oldest tea tree tea is at around 900 years old. However please do not misunderstand that the process of making phoenix dan cong oolong was invented about 300 years ago. 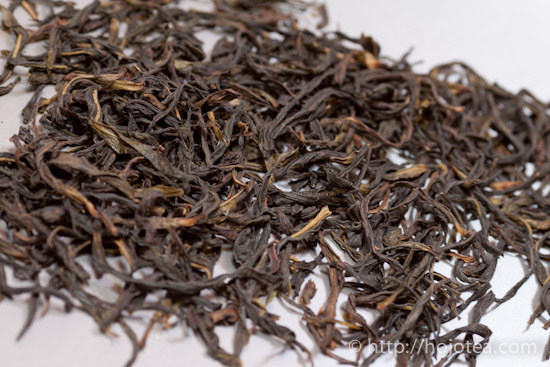 Generally, this tea is not globally recognized in the tea market compared to Wuyi oolong tea. The Phoenix Dan Cong oolong belongs to the same family as Wu-yi oolong. Shui Xian is a tea cultivar that exists both in Wu-yi and Phoenix Mountain. Since the distance between Phoenix Town and Wu-yi Town are not very far away, it was assumed that the tea from Phoenix Mountain was brought over to the Wu-yi Mountain and was planted there about 400 years ago. 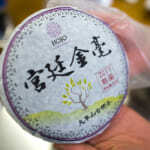 Now, Shui Xian is one of the famous Wu-yi teas in the market. 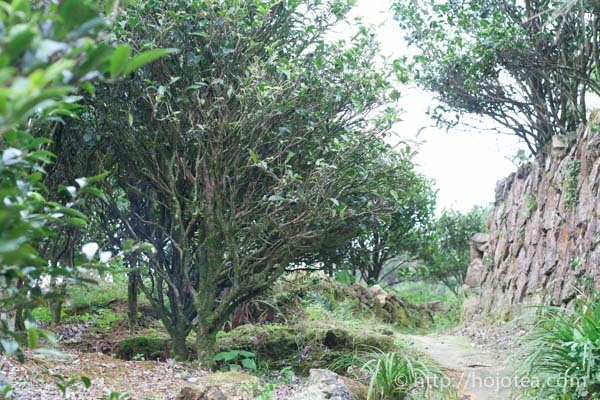 However, on the Phoenix Mountain, the oldest Shui Xian tea tree are around 500-900 years old, which are doubled the age of Wu-Yi Shui Xian. If you try the authentic phoenix dan cong oolong, I am ascertain that you will be shocked by the overwhelming extent of fruitiness. It is hard to believe that the flavor is developed naturally from the tea leaf and it is not the scented tea. Phoenix Dan Cong Oolong is produced with very sophisticated process, yet it its fruity flavor and sweetness is very easy for everyone to instantly accept and enjoy. The Meaning of Dan Cong: Essential for quality Phoenix Oolong. In Chinese, the Phoenix Dan Cong oolong is also known as Feng Huang Dan Cong Oolong. Feng Huang means phoenix in Chinese. 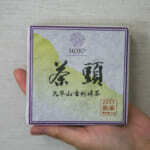 There are many people who often address this tea as the Dan Cong Tea or the Dan Cong Oolong. The term Dan Cong refers to an individual tea tree grown independently which is different from the garden tea. In ordinary tea garden, the tea is planted in a column and the trees are pruned regularly in order to maintain the desired height, shape and size. As mentioned, Dan Cong means an independent tree by its own, randomly planted in the wild which is usually at the slopes of mountain, and similar to other native trees. The “Dan” means single and the “Cong” means Bush or Tree in English. 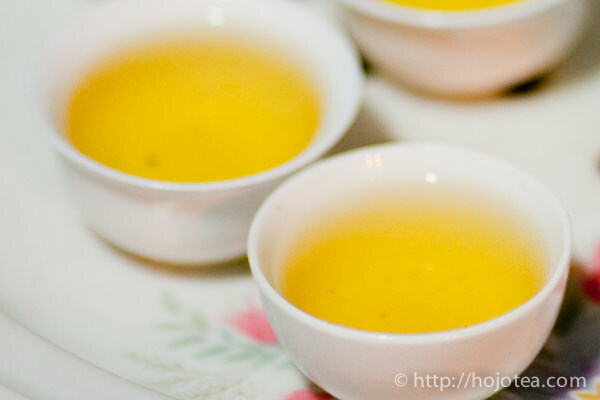 Based on the definition, the term Dan Cong is not applied for only Phoenix Dan Cong oolong, but should be also applied for Wu-yi oolong and sometimes Pu-erh tea as well. There is countless number of garden teas planted throughout the Phoenix Town. Every year, in order to keep the tea trees in desired size and shape, it is mandatory to prune the trees grown in the tea garden. Therefore, the tea trees are maintained as low bushes in a continuous phase of vegetative growth causing those tea trees to produce young branches quickly, hence, increases the productivity. However, the faster they grow, the minerals and organic substances exist in each cell become lesser than those in tea leaves that grows slower. Needless to say, the quality of tea produced from the tea garden is not very favorable. Those garden tea should be called just “Phoenix Oolong” rather than Phoenix Dan Cong, since they do not originate from a single tree. Unfortunately to the consumers, any kind of phoenix tea sold in a tea shop is absolutely called as Phoenix Dan Cong oolong. The garden tea is obviously cheaper than the genuine Dan Cong oolong. The astounding characters of Phoenix Dan Cong tea produced from the old tea tree. 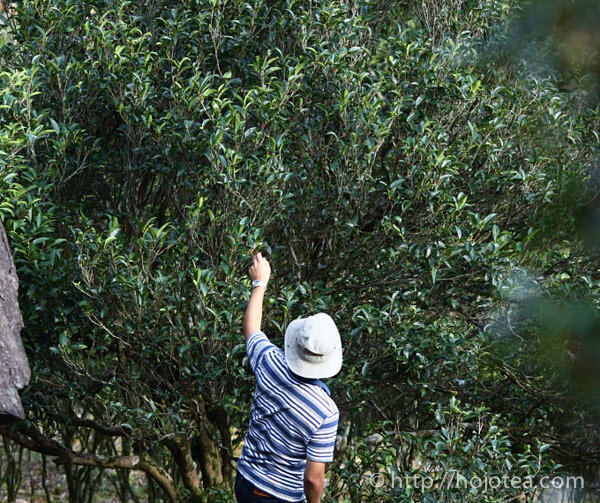 There are still a number of old tea trees remaining in the Phoenix Mountain which are classified into respective names of Phoenix Dan Cong depending on its character, especially flavour. The old tea trees have very long roots yet it usually grows slowly and produces lesser number of leaves allowing the minerals to accumulate and become concentrated within the limited number of tea leaves. After tasting the real Phoenix Dan Cong oolong produced from an old tree, you will never thirst for the garden tea of Phoenix Oolong again. Well, the differences are very obvious.The Phoenix Dan Cong oolong produced from an old tea tree provides a long-lasting flavour. It also has stronger body and after taste. Usually, we are able to determine the difference in quality just by smelling the fresh raw tea leaves. When I was up on the Phoenix Mountain, I often plucked and tasted some of the fresh tea leaves from several old trees. The very old Dan Cong tea produced a very thick flavour that lingered in my throat for a long time. Contrarily, the flavour of the fresh tea leaves produced from the young tea trees were only detected around the upper part of the nostril but vanished at once. The quality of the raw materials plays a crucial role in producing Phoenix Dan Cong oolong teas. other native plants found in the mountain. Wu Dong mountain has plenty of rocks everywhere. Tea bushes grow in between the rocks. When Phoenix Mountain was developed a several hundred years ago, legend acclaimed that there was only one or two kinds of tea cultivar that existed. Once, tea was grown out of a seed where the offspring are different from their parents. It is like the Mendelian inheritance (or Mendelian genetics or Mendelism) that we studied during our days education. It is a theory where inherited traits blend and pass on from generation to generation. Due to a few hundred years of cultivation, the cultivar of Phoenix tea trees have undergone years of natural hybridization or mutation, where such biological changes brought diversify to the flavors of respective trees. Tea leaves plucked from different trees will produce different flavours, even if the processing methods or techniques were the same. The name of various Phoenix Dan Cong oolongs was given based on the flavour of tea leaves produced from its original tree. There are so many varieties of flavour, as many as the number of tea trees on the mountain but each tree can only produce less than a few kilograms of tea. Therefore, even if the tea comes with the same name and same selling price, the flavour will be different depending on the tree. Important element for the quality of Phoenix Dan Cong oolong. Besides the Dang Cong (single tree), there are a few more important criteria when we select quality Phoenix Dan Cong oolong. I often come across customers who comment about Phoenix Dan Cong oolong being very bitter or astringent in taste, hence, they need to store it for a few more years. In fact, if the tea is plucked during early spring, it should not be bitter. Generally, the tea harvested during the late spring, summer or autumn, produces bitter and astringent taste, and it leaves a very unpleasant feeling on the tongue. 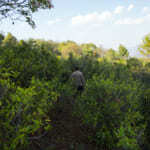 Majority of the Phoenix oolong available in the market are from the garden tea which is harvested throughout the year. During the humid season, the tea grows faster and could be plucked over and over again. You cannot expect the good quality and the prices are extremely low compared to the Phoenix Dan Cong oolong plucked early in spring. 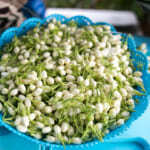 For the old tree Phoenix Dan Cong, it is harvested once a year in spring. Due to the old tree, it grows extremely slow. The tea leaves are rich in substances and minerals, yielding a strikingly intense flavour and long-lasting taste. The premium grade Phoenix Dan Cong oolong is grown at an altitude above 1000m. The Phoenix Mountain consists of a number of peaks including some remote or minor peaks. Somehow all these peaks are called Phoenix mountain as long as it is situated in and around the Phoenix Town. The Wu Dong Mountain is the most famous peak for premium quality Phoenix Dan Cong oolong because of the existence of many old trees that has aged up to several hundred years and planted around this particular peak. Furthermore, the soil from the Wu Dong Mountain is very rich in minerals and these minerals bring about a soft and thick taste of the tea. The Wu Dong Mountain is the signature peak for the Phoenix Dan Cong oolong. Inevitably, Hojo selects its tea from the Wu Dong Mountain. The reason Wu-yi tea is very famous is not only due to the age of its trees, but also its growing environment. The tea bushes of Wu-yi tea are planted at a very rocky place. Indeed, the growing environment of Phoenix Dan Cong oolong is also very rocky. As some say, ‘seeing is believing’. 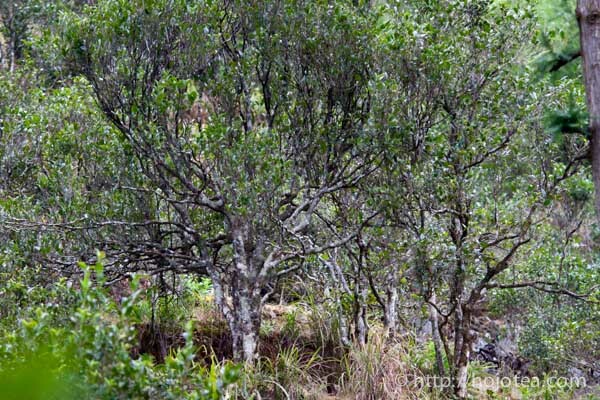 As you gaze at the photos below, it is unimaginable to picture where the tea trees are planted. From a far, its view is nothing but a rocky mountain. These photos were taken at the Wu Dong Mountain. The tea trees were planted in between the rocks and the harsh environment keeps the trees under a stressful growing condition causing the rate of growth to be very slow. Eventually, the tea leaves become very rich in minerals. Wu Dong mountain is surrounded by plenty of rocks. Tea bushes grow in between the rocks. 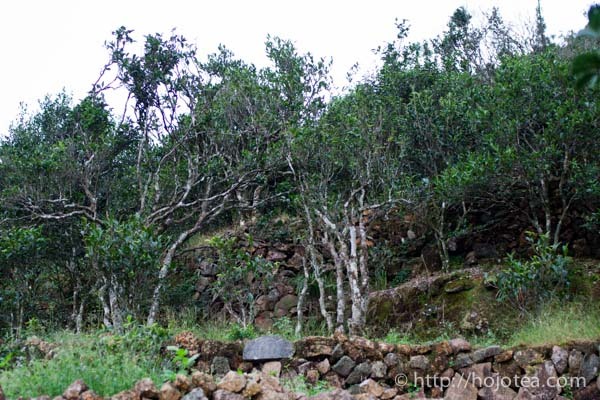 If you visit the Phoenix Mountain, you will be amazed by the way the tea trees are grown. Among all the other native plants within the mountain, the tea trees are actually grown randomly. In the Wu Dong Mountain, there are numerous number of native plants found surrounding the tea trees. The farmer never remove the wild plants. The leaves of those plants content great amount of minerals too. During the fall, the native plants will shed its leaves and those fallen leaves will rest on the ground for some time. After a while, decomposition by micro-organisms occurs causing the minerals to be re-absorbed and then recycled and accumulated by the tea trees. I also observed this similar practice being carried out in Yunnan. In Japan, we have a tea called Gyokuro that is planted in a tea garden. This tea garden is covered with rice straws on purpose, to extract the minerals from the straw when rain falls, enabling the soil to absorb the minerals present, and then later being re-absorbed by the tea trees. Evidently, the quality of Gyokuro grown under the rice straws is completely different from the Gyokuro grown without the rice straw. There is another reason for the weeds to be left unattended. The farmers in Wu Dong Mountain follow a tradition where they do not apply fertilizers. There are some bacteria such as the azotobacter, which lives on the root of leguminous plants and has a symbolic relationship with the plant. It has the ability to gain nitrogen from the air and ingest it into its system. I believe there are many other kinds of bacterial that have the same capability to supply wild plants with nitrogen. In order to maintain the health of the tea trees, the weeds play an important role. There are certain types of bacteria that have the ability to acquire nitrogen from the air and supply them to the plants. from a very old Dan Cong tree. 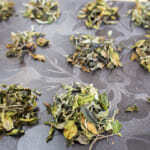 The actual withering duration is also affected by the water content in the fresh tea leaves. During withering, the tea leaves are not turned over as to not cause any damages to leaves. The colour of the leaves change from fresh and lusty green to a dull and darker colour. This is when the leaves have already lost about 10-15% of its moisture. After withering under the sunshine, the tea leaves are transferred to a shady cool place indoor and are left to cool for about 1 to 2 hours. The purpose of this process is to enable further withering to occur under a cooler condition. The sun-withered leaves are gathered, and the thickness of the spread-out leaves is adjusted according to the atmospheric condition. For instance, during the windy season, the thickness is increased to prevent excessive loss of moisture from the leaves. During this period, the biochemistry reaction occurs at a slower rate, thereby increasing the by-product of the hydrolysis process in the leaves as well as enhancing the cell wall’s permeability and increases the enzyme activity, such as enzyme polyphenol oxidase (PPO). 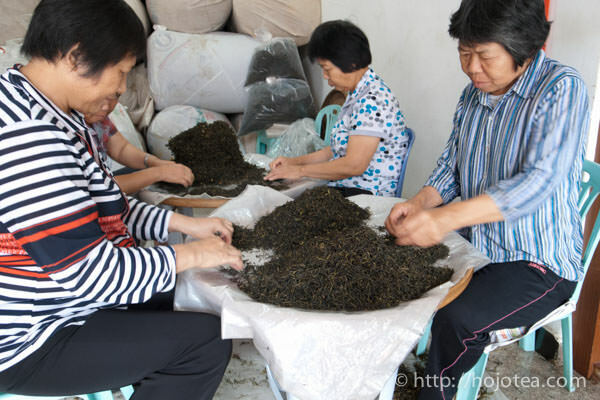 This process is also called 碰青 (Peng-qing), or 浪茶 (Lang-cha) which is the most critical process in making Phoenix tea. It is manually conducted to induce impairment to the edges of the leaves which would damage the cell walls. The enzyme polyphenol oxidase reacts with a substrate to form the substances which contribute to the flavour, taste and colour of tea. Moreover, the atmospheric temperature required for oxidation to occur is around 22-28 degree C with a relative humidity of about 75-85% which starts in the evening about 6 – 7 p.m. and continues for approximately 10-12 hours until the following morning. 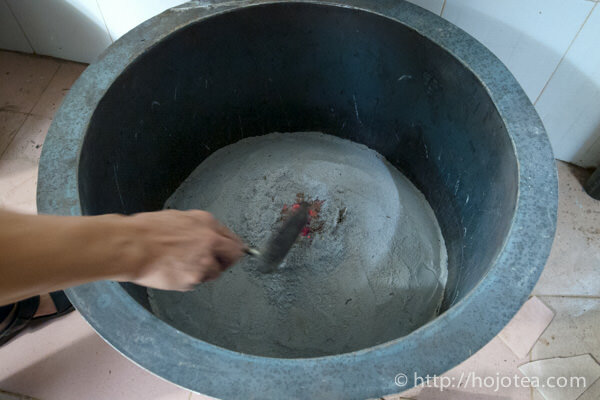 In most cases, a bamboo plate with a diameter of 130 cm, depth about 28cm and the size of its opening around 0.5cm x 0.5cm is used and is hung in the room. In every bamboo plate there is approximately 5-6 kg of leaves in it where two workers will stand on opposite directions while holding the bamboo plate. Next, it is shake upwards and downwards for 15 times allowing the leaves to sway in a wavy style. 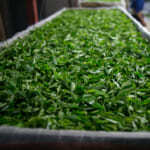 Then, the leaves are gathered and placed onto a bamboo pan with a 凹-shape and left for 2 hours until the next process. For the second and third time of repetition, the shaking process is done for 30 times and 45 times, respectively and the leaves are left for 2 hours. 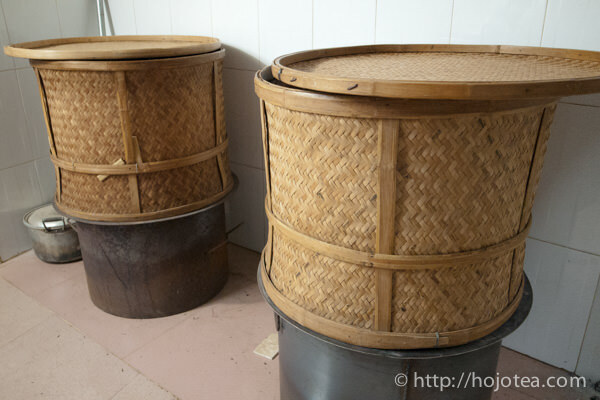 For the fourth, fifth, and sixth repetition of the process (or sometimes up to 7th times), about 25-30kg of leaves are placed into a bamboo drum that has a length of 200 cm, inlet of 75cm, and the size of opening is of 0.6cm x 0.6cm. The rotation of the drum is carried out at different periods of time: 5 minutes for the 4th time which is left for 2.5 hours, then rotated for another 10 minutes. During the 5th time, the leaves are left inside for 2.5 hours, and at the 6th time, it is rotated for 20 minutes and left for 1-2 hours. The edges of the leaves turn red in colour while the center part remains green. Usually, the required ratio of red to green parts on a leaf is at 20:80 or 30:70. The leaf emits its flowery or fruity fragrance. At this moment, the moisture content of leaf is about 68%. The leaf is then gathered together, and left for an hour before it is pan-fried. During the pan-frying process, a high temperature and short duration of heating treatment will deactivate the enzymes instantly and prevents prolonged oxidation which would stabilize the quality and character of the fermented tea leaves. The frying and rolling is carried out in turns and the shape is formed by repeating twice. During the first stage, when the pan temperature reaches 140 – 160 degree C, 1 to 2 kg of leaves are placed into the pan and fried for about 4-5 minutes and then removed from the pan. While the fried tea leaves remain hot, it is rolled by hand (sometimes a rolling machine is used) continuously and the lumps formed would be separated. When the leaves have formed the primary strip-shape, it is placed back into the pan which is heated up to 100 – 120 degree C and fried for another 3-4 minutes. Gradually, the leaves are heated, and become soft and slightly sticky, and is able to form a ball when grasped. When the leaves give off a greenish and grassy smell which will further emits an aromatic fragrance, this indicates that the frying is sufficient. At this moment, the leaves have lost their moisture content of approximately 20-30%. The softened leaves are rolled until they form a tight strip which has about 40-50% of cell destruction because the tea fluid is squeezed and remains on the leaf’s surface which exhibits the luster appearance on leaves. The expression of the juice over the leaf particles increases the strength of tea when brewed. The first drying is called 毛火 (Mao-huo) where the temperature is about 80-90 degree C and is set for 40 minutes, allowing the leaves to dry out about 30-40% of moisture content. After the first drying, the leaves are then removed from the heated bamboo basket and lightly loosened to allow it to cool down for 30 minutes. The second drying is called 足火 (Zu-huo) which is carried out for 20 minutes at 50-60 degree C. After this, the fire is extinguished while the tea leaves still remain in the bamboo basket until it is dried sufficiently which may take up to 2-3 hours. The remaining moisture content of the dried product is about 5%. Many people think that the unique flavour of Phoenix Dan Cong oolong comes from the fermentation which once was my thought too. However, it is not true. If you had the chance to indulge in the mao-cha of Phoenix Dan Cong oolong, there would be a significant difference in terms of flavour you would notice between the mao-cha and Phoenix Dan Cong. As mentioned, the mao-cha means the crude tea obtained right after the fermentation and drying process which does not have the flavour of Phoenix Dan Cong oolong. Rather, it produces a kind of greenish flavour that reminds me of fresh celery or Qing-xiang Tie Guan Yin (清香铁观音). Frankly, the flavour of the mao-cha of Phoenix Dan Cong oolong is indeed less impressive. Based on my experience and understanding, the crucial process in making Phoenix Dan Cong oolong is the firing process. You may assume that firing would rather develop the baked aroma like the “Deep Fired Tie Guan Yin”. Mainly, it depends on the baking temperature, for instance, we wished to produce a tea that emits a “baked flavour”; therefore, the manufacturers would use a higher temperature during the frying process. If the temperature is below 100 degree C, the tea will not produce any baked flavour. In order to develop an identical flavour of Phoenix Dan Cong oolong, manufacturers use a lower temperature to bake it for more than 20 hours. 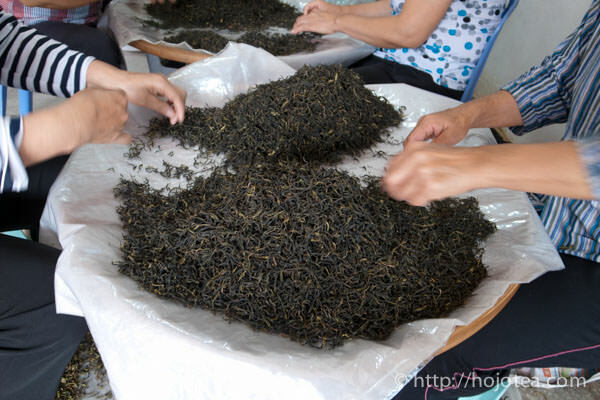 As a result, the tea will undergo further maturation where non-enzymatic reactions occur between the substances that exist in the tea leaves and form its unique flavours. 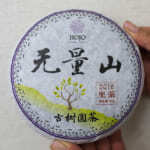 In commercial tea market, many people are used to the Phoenix oolong with strong baked flavour. In fact, usually those are from garden tea at low altitude and harvested in summer. With such condition, tea tastes bitter and astringent. Eventually, strong fire has to be applied in order to partially diminish its unpleasant taste. The firing at more than 100 degree C decomposed the tanning and reduce the dryness. For thoese low-end tea, the mao-cha is often baked using the electrical oven-dryer in order to maintain the efficiency. No doubt that this Phoenix oolong gives strong baked flavour like Deep Fired oolong, and lacks intense fruity and flowery flavour; it is incomparable with the real Phoenix Dan Cong oolong. The well made phoenix oolongs that are baked with traditional charcoal fire gives no baked flavour even if it is baked up to 3 times. 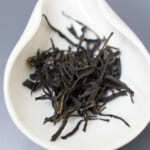 The tea is emitting a matured fruity flavour like dried peach, plum, cranberries or raisins. It’s definitely of different quality compare to the strong-baked Phoenix Oolong. The mechanism that allows the Phoenix Dan Cong oolong to develop its unique fruity flavour is very similar to the aging of pu-erh tea. 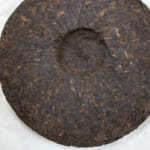 As for the pu-erh tea, it takes many years to develop the fruity flavour. Do you know that the tea gets matured faster if it is kept under a warmer environment? Since I am running operations both in Japan and Malaysia, the difference made is very obvious. 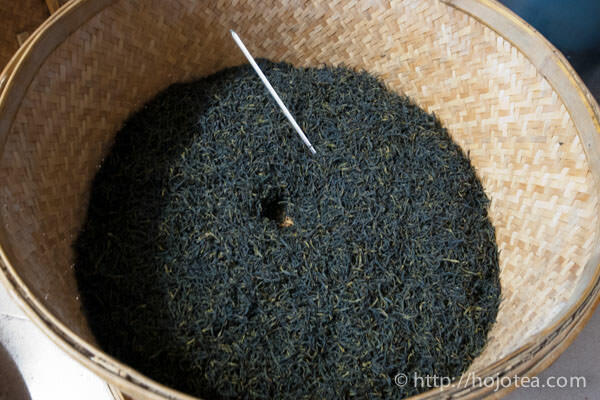 The tea kept in Malaysia gets matured twice as fast as that in Japan. 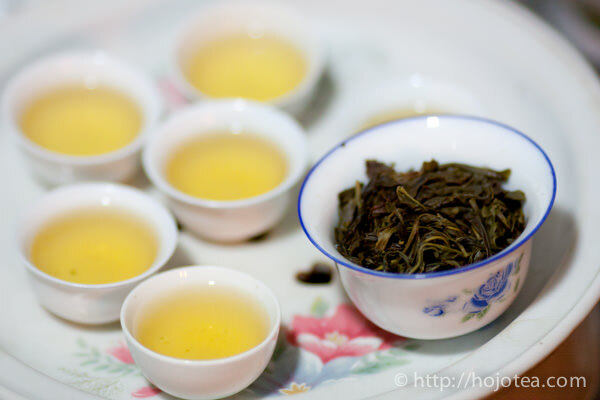 By the way, the maturation by the aging is not only the specialty of pu-erh tea, but also with the Taiwan oolong tea, white tea and Darjeeling tea. I often keep my favorite Taiwan oolong tea under an ambient temperature. 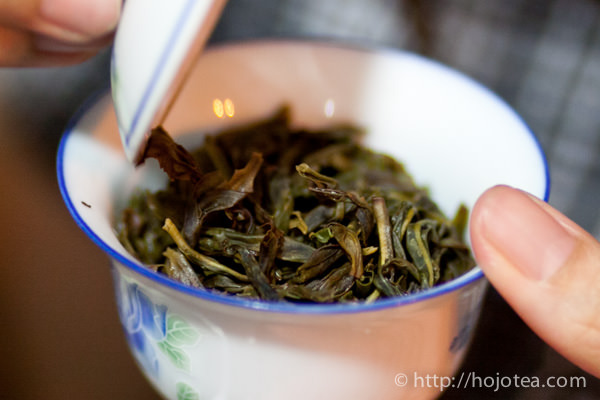 The fresh Taiwan oolong such as Ali Shan Cha or Li Shan Cha gives greenish and floral flavour. After keeping these teas in Malaysia for a few years, the tea could develop very strong and sweet fruity flavour with a reminiscent of peach or apricot. In the making of Phoenix Dan Cong oolong tea, they also use the same theory. Since they cannot wait for a few years until the tea gets matured, they use baking to shorten the speed of maturation. What if the tea is kept at 40 degree C or 50 degree C condition? Of course, it would take a shorter time to get the tea to mature when the temperature is higher. Applying this theory, they bake the tea at the temperature that is high enough to speed up the maturation process that is with 20 hours of baking at a temperature not more than a 100 degree C, resulting in a tea that would develop a very strong fruity flavour. This is the art of directing the maturation of tea. Due to the unique composition and rich content of minerals exist in the Shui Xian tea family, Phoenix Dan Cong oolong is not compatible with many kinds of teapots. For example, Phoenix Dan Cong oolong is not compatible with Banko, Shigaraki and Watanabe Tozo’s Mumyoi clay tea pot. As far as I am ascertain, our teapot in line work very well with the Phoenix Dan Cong tea: they are the Tokoname red clay made by Gisui, Nosaka oxidation and reduction clay by Shimizu Ken, Kobiwako and the Niigata Tsuiki-Doki Teapot. Furthermore, I have also tested various kinds of Yi-xing red clays to brew Phoenix Dan Cong tea. I found that there are many clays did not perform well with Phoenix Dan Cong tea too, even if they showed great performance for other types of tea. It is important to carefully select a suitable clay tea pot for brewing Phoenix Dan Cong tea. While some people strongly believe that Chao-zhou teapot performs very well with Phoenix Dan Cong tea since they are produced from the same hometown, I, however, find that this is not a correct perception. Likewise, some could perform well and some do not perform at all, it actually depends on the particular clay. Unless you are very certain whether your tea wares are suitable for brewing a Phoenix Dan Cong tea, kindly use either a glass or ceramic tea ware. Since all our selection of Phoenix Dan Cong oolongs are from tea trees that are more than 100 years old, you would be sure to enjoy strong after taste and flavour even if the tea is brewed in a glass ware. If you would like to determine whether your clay tea wares perform well with a Phoenix Dan Cong tea, you can brew the tea in a glass ware, and then by pouring some into the clay tea ware, you are able to compare and differentiate the taste of each clay tea ware. 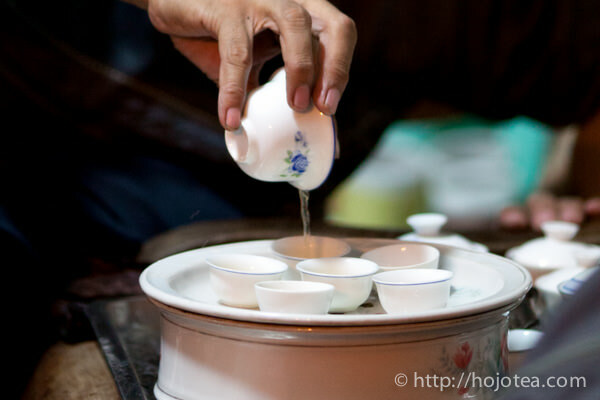 After tasting of the tea from several clay tea wares, the one that produces a better taste than of the glass, you may consider using that specific clay tea ware to brew your Phoenix Dan Cong tea.